I’m not saying I make a habit of reading on my phone. But it can be convenient. With my Nook app, I cue up my current read wherever I am. No spare moment is wasted. Standing on an eternally long line at CVS/the DMV/the coffee shop? I may just find it within myself my phone to summon the patience of Job. Many of us may, this weekend, find ourselves en route or on line or just…waiting, in general. So I though to share some Christmas stories you can access right from this post. And what is a holiday reading session – even one from one’s phone – without (the facsimile of) a roaring fire? Enjoy, and Seasons Greetings to all! Sedaris has a whole collection of outlandish Christmas-themed stories (Holidays on Ice). This link will take you to a special treat: Sedaris’ NPR reading of “SantaLand Diaries,” culled from his experience as a mall elf. Ho ho ho, indeed! At the request of his fiancée, a young man struggles to give away $25 dollars, $2 at a time, on Christmas Eve in this witty Fitzgerald short story. First published in 1956, Capote’s story, said to be largely autobiographical, takes place in the ’30s and narrates the last Christmas shared between best friends seven-year old Buddy and his elderly cousin. A beautiful, poignant Christmas story of love, loss, and what lasts. O. Henry’s 1906 story of young couple Jim and Della who each sacrifice something they love to buy the perfect present for the other has been widely adapted. The original is pretty great too! In Alcott’s Christmas classic, city dweller Sophie and two of her friends travels to Vermont to celebrate Christmas on a farm with Sophie’s aunt and cousins. Tolstoy’s story is set at Christmas, but it reads like a New Testament parable: After a Christmas Eve dream that Jesus will visit him, a shoemaker decides to make a gift of a special pair of shoes he made. When a cold, itinerant young mother enters his shop with her shoeless baby, the shoemaker must decide whether to save the shoes for Jesus or bestow them on the baby. This is Dostoyevsky, so you may not need the warning…but I’ll give it to you anyway: This is a dark story, set largely at a New Year’s Eve gathering for children, about a rapacious, voracious man who gets exactly what he wants. Or does he? Let’s call it a cautionary tale, which isn’t a bad way to head towards a new year. What Christmas stories – or other reading material – are you enjoying this holiday season? 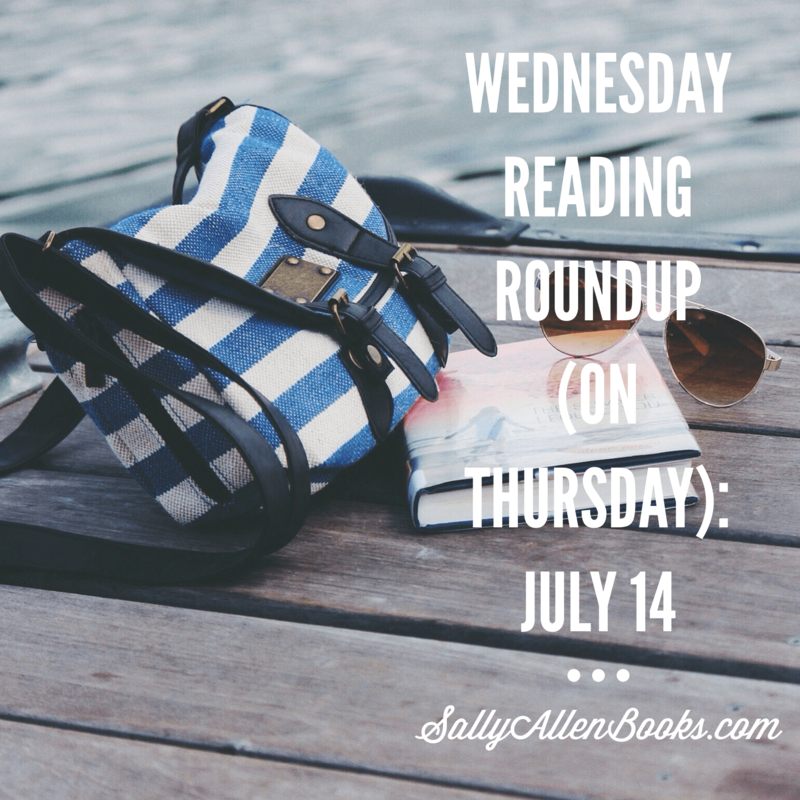 Thankfully Reading – the readathon hosted by Jenn’s Bookshelves over the holiday weekend – wrapped up yesterday. And you know what that means: It’s stock-taking time. Between family time and the Gilmore Girls revival, reading had some competition this weekend. I loved having the incentive to carve out pockets of time to read. My final book tally: I finished Suddenly, Love by Aharon Appelfeld and Where I’m Reading From by Tim Parks. I also read Ill Met By Moonlight by W. Stanley Moss, Miracle on 34th Street by Valentine Davies, and Pym by Mat Johnson. Four out of five books were my own (yay for #ReadMyOwnDamnBooks). All but one were on my original reading list. I added Miracle on 34th Street on a whim because it’s in my library and opens on Thanksgiving. I don’t have cable, so the opening scene gave me the parade experience, ha. Thankfully Reading is a readathon hosted by Jenn’s Bookshelves. It begins on Friday and carries on through the weekend. Thankfully reading is also a state of being, but I don’t usually capitalize it as such. As I like to say – possibly exhaustively – every weekend I can swing it becomes a de facto readathon for me. And when I’m reading, I’m thankful for the time to do so. The distinct pleasure of group readathons is, of course, sharing the experience – hearing what books others are reading, offering inspirational messages, and my favorite: that heartening feeling of connection. That’s what reading is about, isn’t it? Seeking connection with human experience and hopefully growing in compassion and empathy from connecting with that experience. Yes, I will be reading thankfully and Thankfully Reading this weekend. As for what I will be reading, I’m currently engrossed in Suddenly, Love by Aharon Appelfeld and Where I’m Reading From by Tim Parks. After these two, the next titles on my reading list are Ill Met by Moonlight by W. Stanley Moss, The Crossover by Kwame Alexander, Saving Lucas Biggs by Marisa de los Santos and David Teague, and Pym by Mat Johnson. 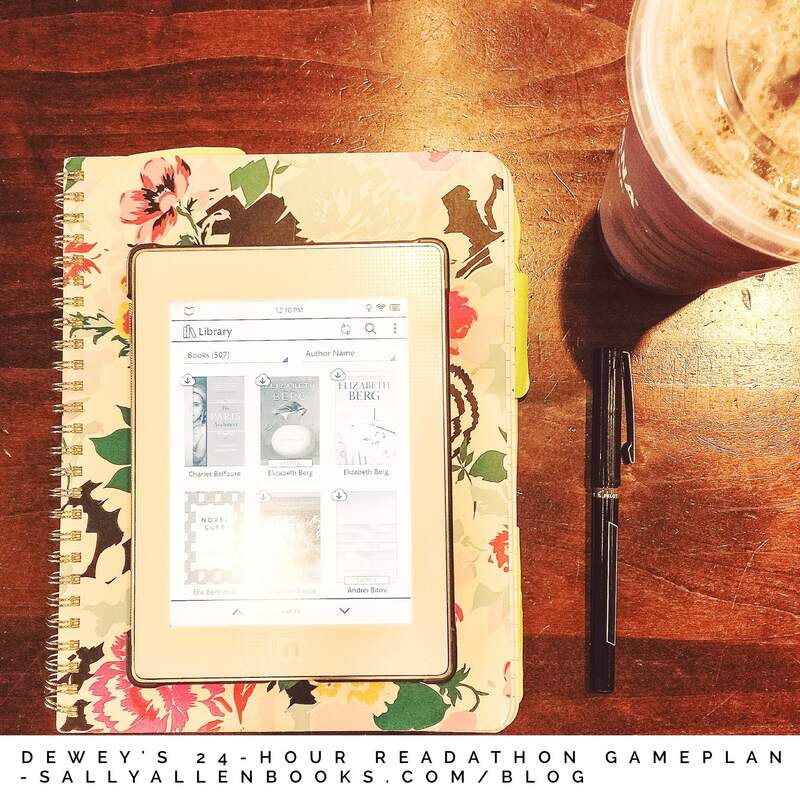 Will you be readathon-ing alone or with others this weekend? What books are on your reading lists? Reading challenges make me nervous. They can create a competitive dynamic where it’s unnecessary and unproductive. They can set expectations that, if not met, cultivate feelings of failure that drain the pleasure from reading. Who needs that kind of negativity, especially from an activity that one engages in by choice, presumably for pleasure and enrichment? I don’t know. Maybe some people like negativity (that would explain a lot, actually). But I don’t. 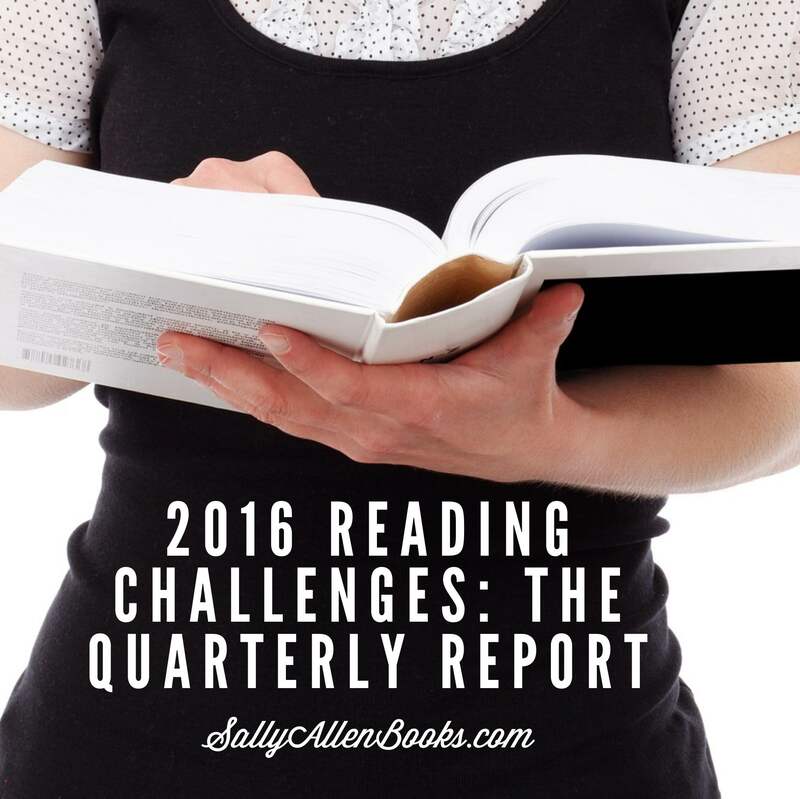 So I’m very wary of engaging in reading challenge, generally speaking. And yet! This year brought two highly appealing reading challenges into my life: Read My Own Damn Books initiated by Andi at Estella’s Revenge and When Are You Reading? by Sam at Taking on a World of Words. This was the challenge that convinced me to do a challenge this year. I needed it desperately. My book hoarding had achieved intervention levels. I’ve bought two and even three copies of the same book because I no longer have any idea what books I own, and trying to find them on my overstuffed shelves takes hours and days. It’s ridiculous. One major difference resulting directly from Read My Own Damn Books: My impulse buys are way, way down. I’m still buying new books, but I’m actually reading them too. As opposed to sticking them on a shelf where I’ll promptly forget them. Imagine that! E-book sales were a huge temptation for me. My new policy: I only buy the on-sale e-books if the titles were already on my to-read list. 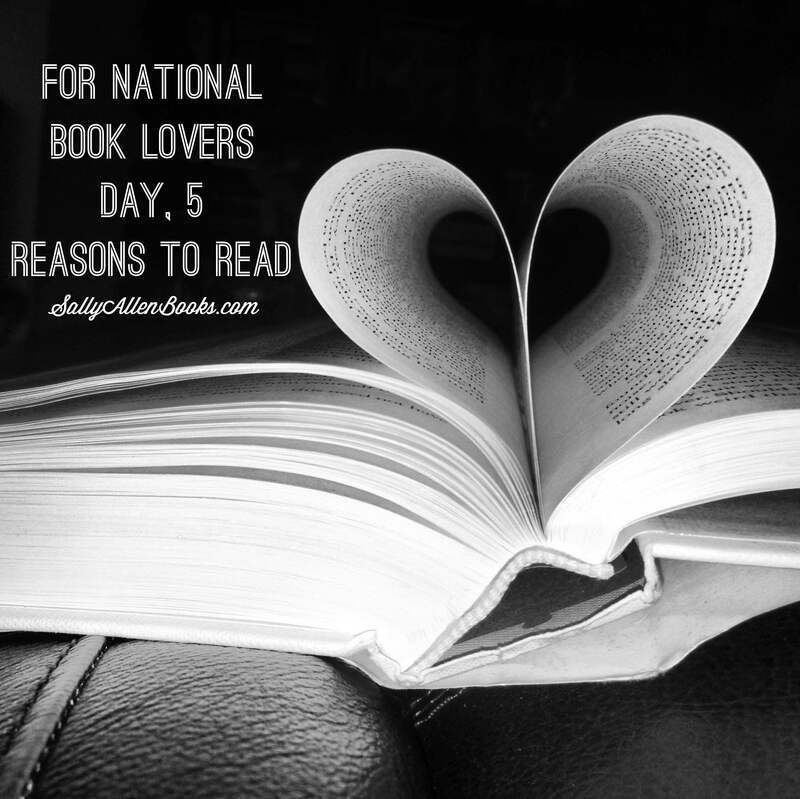 The bookish interwebs are buzzing today with fun and funny tributes to National Book Lovers Day, celebrated on Aug. 9 each year. For some of us (like me! ), every day is book lovers day. But I feel the spirit of setting aside one day a year to acknowledge and celebrate what you treasure. I mean, if grilled cheese sandwiches and yo-yos get a day, then books deserve one too, am I right? My sincere thanks, as ever, to Taking on a World of Words for the weekly inspiration of WWW Wednesday and to Coffee and Cats for introducing me to it. They have been so successful at inspiring me to read that I’m sticking with it despite just having written a monthly recap! What are your currently reading? I have three books going at the moment though haven’t managed to get very far in any of them. With my annual summer relocation happening this week, I’m behind. I could let it go and plan to catch up next week. But I won’t. It’s like with working out: If I let myself go one week, it’ll be too easy to let it go the next one. And the next one after that. So my thanks, as always, to Taking on a World of Words for hosting WWW Wednesday and Coffee and Cats for introducing me to it! Harry Mount’s Odyssey: Ancient Greece in the Footsteps of Odysseus by Harry Mount. I discovered it through this review in The Guardian. Oddly, it was the first title that came up when I googled “what’s the best translation of The Odyssey?” Mount’s project – to follow Odysseus’ journey from Troy back home – intrigued me. Busy days haven’t left me as much time for reading as I’d like, so it’s still early days for the book and me. So far, though, I’m enjoying the voice and writing quality. 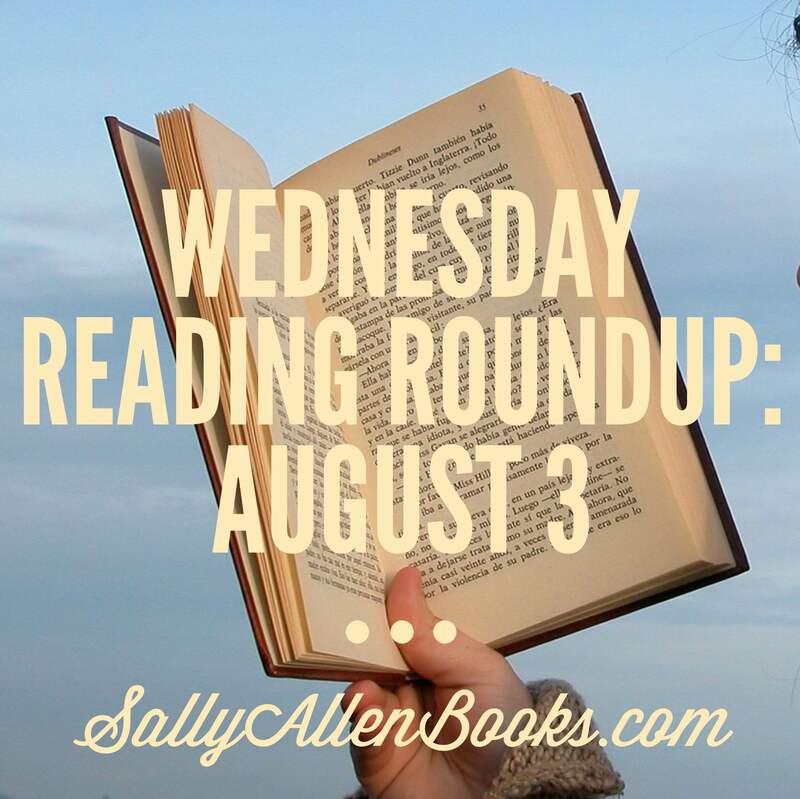 What did you recently finished reading? Earlier today, I finished Tiny Pretty Things by Sona Charaipotra and Dhonielle Clayton. I enjoy ballet books and had this one on my list since it came out. And would you believe: All those e-book sales I get finally paid off: Last week, Tiny Pretty Things was on sale for $1.99, and I scooped it up. It’s about high school students at an elite New York City ballet academy, where the pressure to excel pushes students to the brink physically and emotionally. The story unfolds through three first-person viewpoints. California girl Gigi feels the weight of being the only African-American student at an academy where “ballet blanc” is the unspoken code. June wants more than the understudy roles she’s been getting, especially since her mother has given her an ultimatum to get better roles or leave the academy. Bette, a legacy student, fits the prima ballerina description to perfection but struggles to replicate her older sister’s success. The story begins with a student, Cassie, falling during a class, then fast-forwards to the following year. We discover Cassie is not longer at the school. She was injured in the fall. It turns out she was also the victim of intense bullying/harassment by other students, Bette at the head of the list. The bullies find a new target in Gigi, with the “pranks” becoming increasingly alarming. We spend the book not knowing exactly who is doing what. I raced to the end hoping to find out what was going on only to find the last page is the biggest cliffhanger of them all – sneaky! I guess I’ll have to read the sequel, Shiny Broken Pieces. I also finished An Accidental Greek Wedding by Carol Grace. More of my thoughts on it are here. It’s hard to say at this point. I have quite a bit of Harry Mount’s Odyssey ahead of me. Earlier this week, my parents were showing me photos of their recent trip to Norway. As ridiculous as this sounds, the photos kind of made me want to read the first book in Rick Riordan’s Magnus Chase and the Gods of Asgard series. A Hamish Macbeth mystery also sounds appealing. So it remains to be seen what book lands on my “next up” list. How about you? What books are on you read, reading, and to read list? Recently, I was looking for a book I knew, with absolute certainty, lived somewhere on my shelfies. The *real* ones. The ones that hold my paper books. 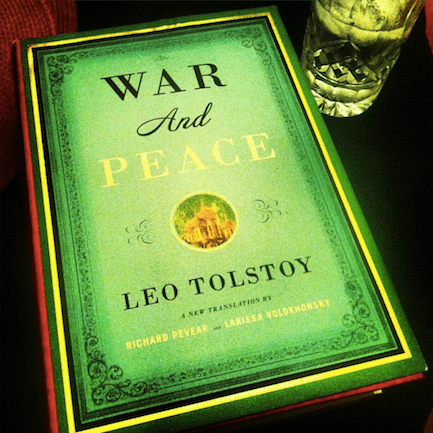 Though I am a devoted e-reader (and devoted to my e-reader), I love paper books, especially hardcover paper books. Hardcovers have weight and heft. They have physical presence. They feel friendly in my hand. They can be art objects in themselves. Here, the first titles that come to mind are The Enchanted Wanderer: And Other Stories by Nikolai Leskov, The Golem and the Jinni by Helene Wecker, and Colorless Tsukuru Tazaki and His Years of Pilgrimage by Haruki Murakami. The Readathon concept isn’t entirely new to me. It’s what I call “therapy time,” or “Saturday” (ha). This is to say, submersing myself into a long uninterrupted reading stretch is how I relax, unwind, de-stress, refresh. Books are my personal decompression chambers. However, what I’ve not done before is participate in a Readathon as a social activity. One big pet peeve I have as a reader: I have a strong aversion to ending reading sessions mid-chapter. If I start a chapter, I want to be able to finish it. If I’m feeling pressed for time and doubt I’ll be able to read a whole chapter, I veer toward not beginning that chapter at all. Do some books make better listens than reads? My journey to embrace audiobooks has been a rousing success so far this year. Granted, we’re not quite three months in, but I’m hopeful.